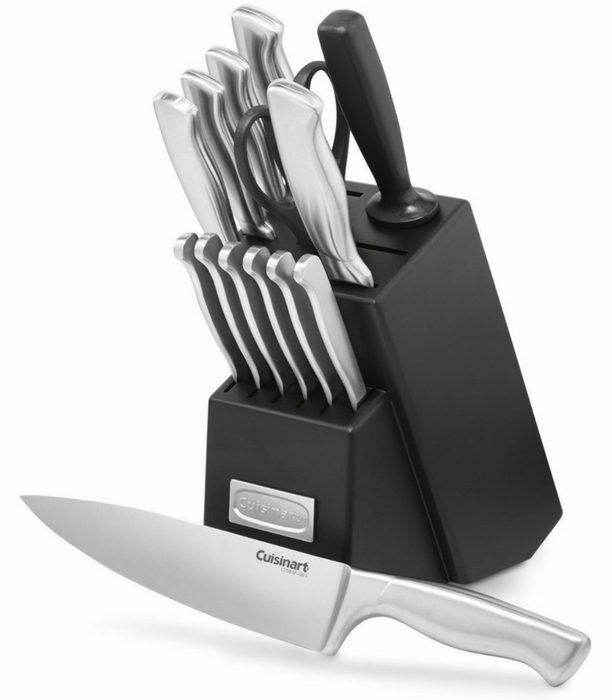 Cuisinart 15-Piece Stainless Steel Knife Set Just $44.97! Down From $156! PLUS FREE Shipping! You are here: Home / Great Deals / Amazon Deals / Cuisinart 15-Piece Stainless Steel Knife Set Just $44.97! Down From $156! PLUS FREE Shipping! This steel knife set is a great addition to your kitchen tool collection! These knives are crafted with superior high carbon stainless steel blades for precision and accuracy. They have a strong durable bolster for perfect stability and control. A must have tool at your kitchen! Amazon is currently offering Cuisinart 15-Piece Stainless Steel Knife Set for just $44.97 down from $156 PLUS FREE shipping!